ANU UG B.Com(CA) 5th Sem C Programming Material for 5 units is now available. Here is simple c programming material for nagarjuna university B.Com Computers 5th semester. 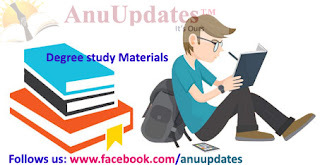 Here you cam download all anu degree materials, previous papers, guess papers for your exams.